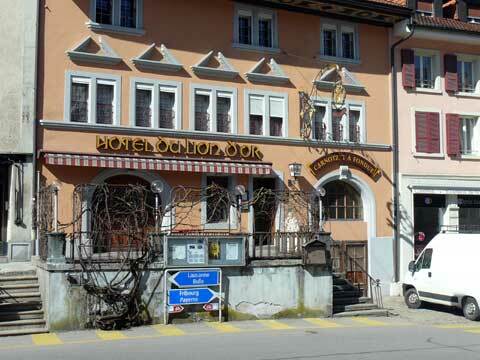 The Hotel du Lion d’Or in Romont offers 17 rooms for single, double or triple usage with a total of 36 beds. This hotel offers also a restaurant that serves local dishes and cheese specialties. If the weather is nice, you will be able to eat on the terrace. Guests of the hotel liked the quietness of the place and the rich breakfast buffet. The hotel is centrally located to explore the Canton Fribourg and the nearby Gruyère. You can also quickly reach Lausanne and the Lake Geneva area with the nearby highway.